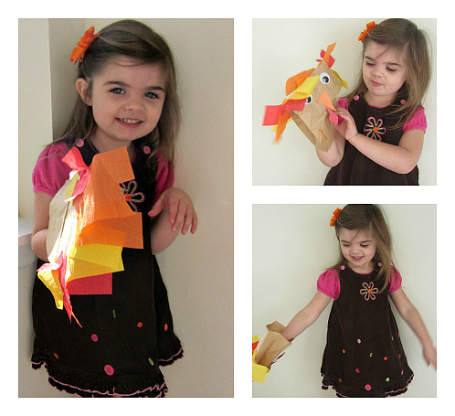 People have been making paper bag turkey crafts for ages but I still wanted to share this one because of how we made it and how my daughter was able to play as soon as the last piece was on. 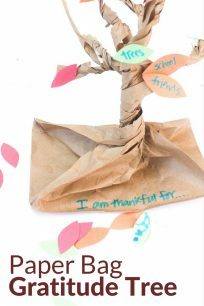 It’s the perfect low mess make and take craft for your kid guests at Thanksgiving dinner. Gather your materials. 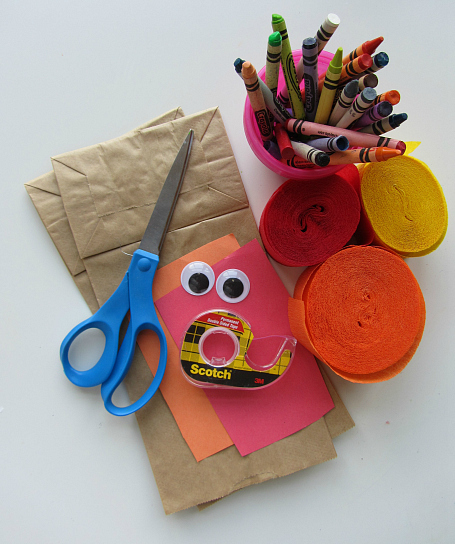 You will need some paper bags, crayons, party streamers ( I save all extras from birthday parties), googly eyes, orange and red construction paper, scissors and permanent double stick tape. 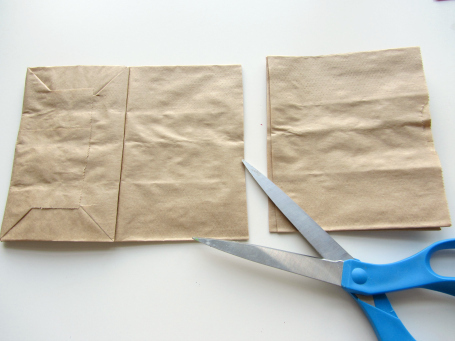 Start by cutting a few inches off the bottom of the paper bags. 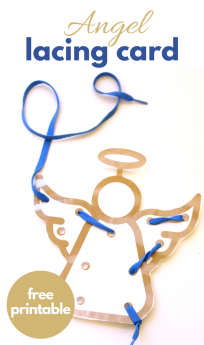 This makes the puppets much easier for wee little arms to handle. 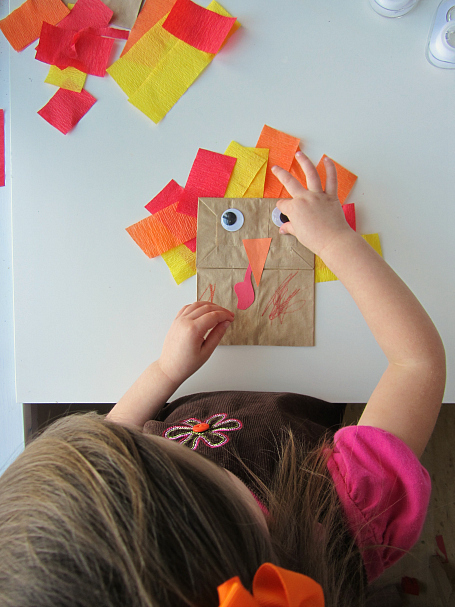 Next invite your puppet maker to color their turkey. 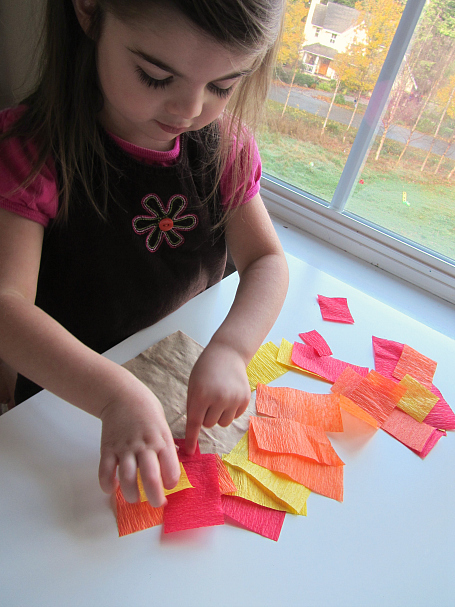 My daughter took her time taking off all the paper from the crayons first. 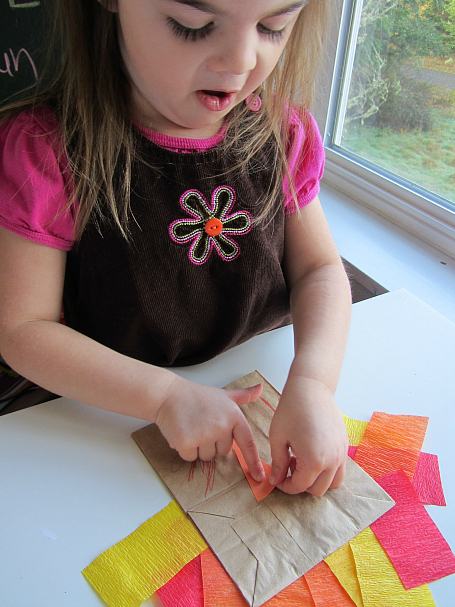 This was an unintended fine motor skill activity in the middle of our main craft. 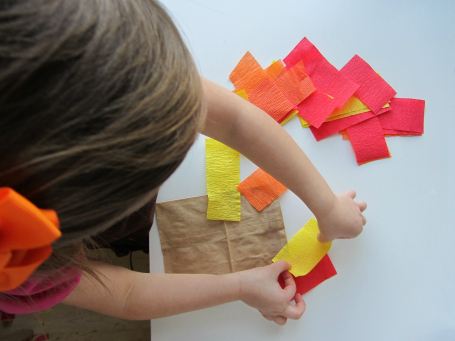 While they peel and color cut the streamers into shorter pieces, and cut a beak and wattle. 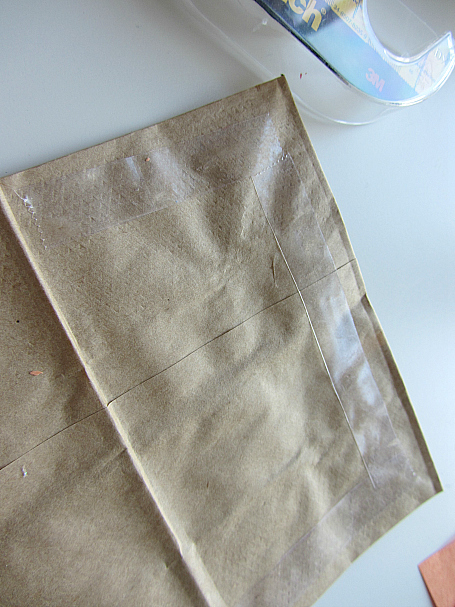 When they are done coloring flip the bag over and add the double stick tape along the edges. Add the streamers. 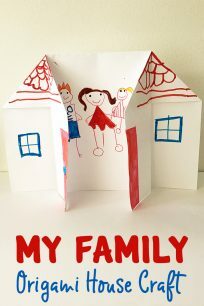 I was floored with how long she did this. 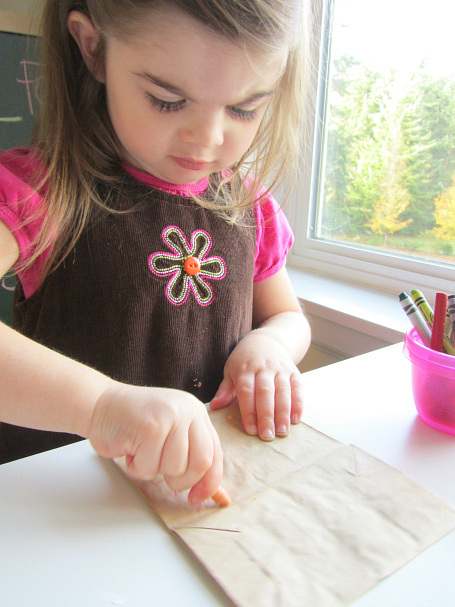 She wanted to cover every bit of “sticky” and even asked to add more. 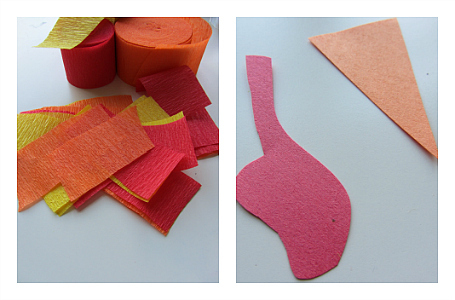 Add tape to the wattle and beak and flip the turkey over and stick them on. We added the beak first so I slipped it under after. Best part is that it’s time to play right away ! 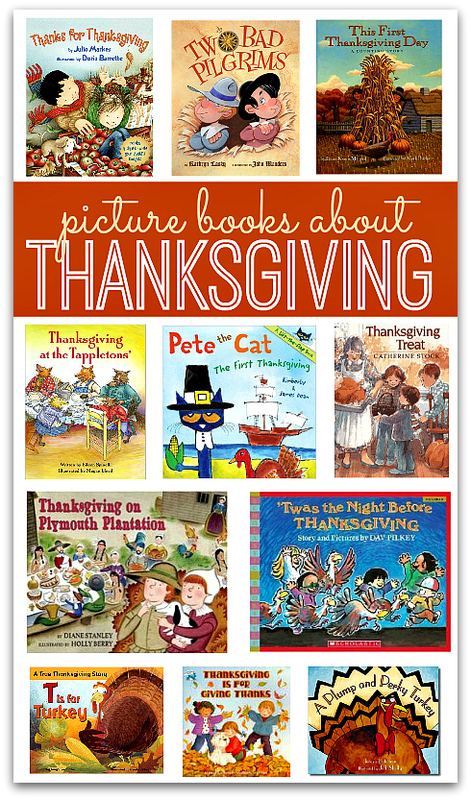 Do you need some Thanksgiving books to go a long with this craft? Check out our newest Thanksgiving Book List. 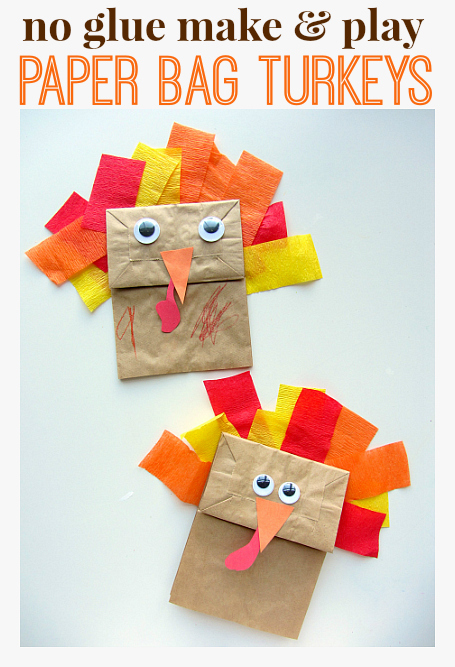 The turkey is adorable! 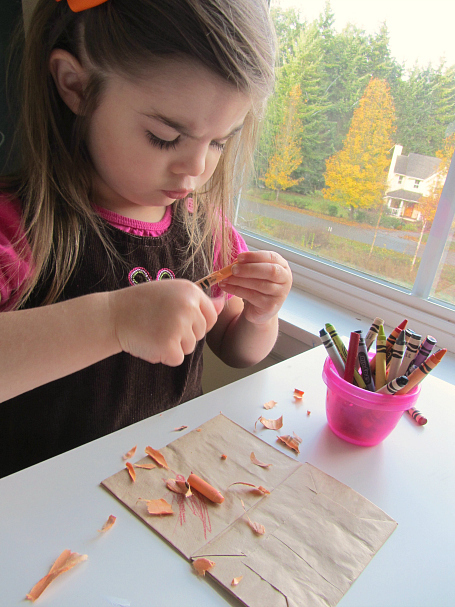 Love the no mess glue projet!